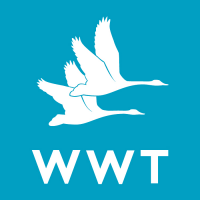 At WWT Castle Espie, we shape unforgettable experiences. By working as part of the Reserve team you will assist in providing the highest standards of management and conservation on site and support our staff in ensuring we manage the habitat at Castle Espie to the highest standards, as well as ensuring the centre is helping provide the visitor with a great day out and encouraging them to engage with and support our work to save wetlands for wildlife and people. We will mutually agree the hours that you can contribute and it would be helpful if you could try to give us as much notice as possible on the occasions when you are not able to contribute those hours. Managing and monitoring a range of habitats. Assisting with maintenance of reserve infrastructure such as hides, paths and exterior furnishings. Contributing to wildlife monitoring and recording. Ensuring the safety, welfare and enjoyment of the visiting public. Promoting the work of WWT to all visitors. No formal qualifications are required. However this role would suit you if you have formal or informal experience or understanding of conservation. Proactive and able to work with a minimum of supervision, under the direction of the Reserve Warden. You will gain professional experience in reserve management.